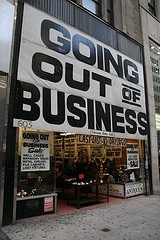 The number of companies entering into liquidation during the first quarter of 2008 in England and Wales rose by 2% on the previous quarter and by 4% on a year-on-year basis, according to the latest official statistics. There were 3,210 liquidations of which 1,085 were compulsory a decline of 22% on the same quarter a year ago, while voluntary liquidations rose by 25.4% on a year-on-year basis. Although these statistics will be seen as another grim portent of things to come, the proportion of companies entering liquidation compared to active companies was just 0.6%. A figure that has remained unchanged since the corresponding period in 2006.